One of the best sushi places that make it in my top 3 list is found at TSC signature’s sushi bar. 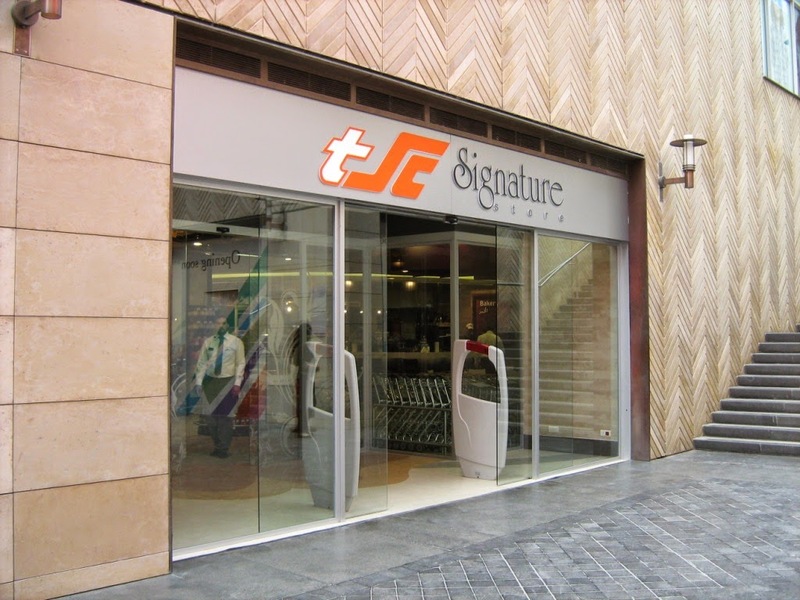 TSC Signature is a high- end supermarket in Beirut Souks, downtown, where you can find a wide variety of grocery products as well as imported and unique goods. Despite the fact that it is located in a supermarket and it’s not very common to eat there, TSC’s sushi bar is also one of the favorites for the friends of mine whom have tried it. The sushi bar, whose sushi and other specialty dishes are delivered along a conveyor-belt system, offers guaranteed fresh products right from the shelves with affordable price relative to the quality it offers. Also, the bite size is large enough to fill up your entire mouth and enjoy a generous tasteful experience at every bite. You can be sure to leave TSC full and happy. You can also pick up your sushi meal from the sushi bar in less than 5 minutes if your work offices are nearby in downtown or if you’re going back home. Otherwise, you can treat yourself at TSC to Grill, Pizza, Hot Food, Lebanese meals and salads in a charming and welcoming ambiance. During the day, TSC signature is crowded with business people wearing suits. I met with Christine and enjoyed a lunch with her discussing her career in marketing and my future plans once I graduate from AUB with a BBA in marketing and entrepreneurship. We also spoke about my French accent that is present in both my English and Arabic language, but you can really notice it when I speak Arabic, for instance I can’t roll the “r” like you do. And I told her how I didn’t use to speak Arabic that much as a kid; Christine has this concern now with her young daughter. You see, there are in fact 2 Arabic we know, written Arabic and spoken Arabic that we often call Lebanese. What they teach at schools it’s the written Arabic that is somehow difficult to speak. Lebanese don’t speak Arabic the way it’s written, it would be really weird/funny for someone to speak like that, unless it’s the news or my Arabic teachers at school. Later when I grew up, I learned to speak Lebanese from my friends when I heard them speaking. The YouTube cooking videos I shoot where I speak in Arabic have actually helped me a lot in ameliorating my Arabic level. At first, we used to prepare the recipes in English and then my mom or the translator would actually turn them to Arabic! Now I got familiarized with the technical cooking words in Arabic so we don’t always prepare a script in Arabic ahead of time! Back to the food, we started our meal with a savory specialty salad from the chef, including smoked salmon and avocado. We then had some sushi and explored some new things I haven’t tried before on their menu. I also tried from the sushi bar Chinese sweet and sour shrimps (second favorite after BBQ yum!) and fresh Saint-Jacques scallops sitting on a bed of lime topped with green wasabi and black tobiko caviar. A glass of white wine was the best to pair with this seafood. We concluded our meal with Mochi, Japanese flavored rice pillow stuffed with ice cream. And like every Lebanese loves to rest over a cup of coffee before leaving the restaurant, we enjoyed a Turkish coffee from the drinking hub Café Najjar along with profiteroles from TSC’s bakery. Considering how happy I was when I left the place, the cleanliness and quality of the food and then the taste of the food, the fast service because it is a sushi bar, the convenience of the place, which is in fact downtown, it’s a 5/5 for me.